Anamorph: Vouauxiomyces truncatus (B. de Lesd.) Dyko & D. Hawksw., syn. Phoma truncata B. de Lesd. 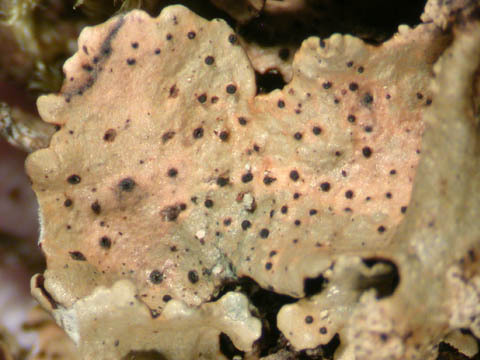 Lichenicolous, on Flavoparmelia caperata, usually in anamorphic stage. Belgium: Mosan: RR, Ard. : RRR. France: Mar. : RRR, Brab. : RRR (<1910, type locality of P. truncata). Lit. : BDL1: 277, Boul. : 66, Di: 30-31, LF0: 6, NL97: 44.